Here are a few applications that I have put together on my travels in an attempt to make things easier for my fellow colleagues. I have not attended any specific programming course. Everything I have learned is self-taught. Before I pick up a project I review language options decide what is most logical and learn that language as I require - doing my best to ensure I follow best practices for the implementation I use. 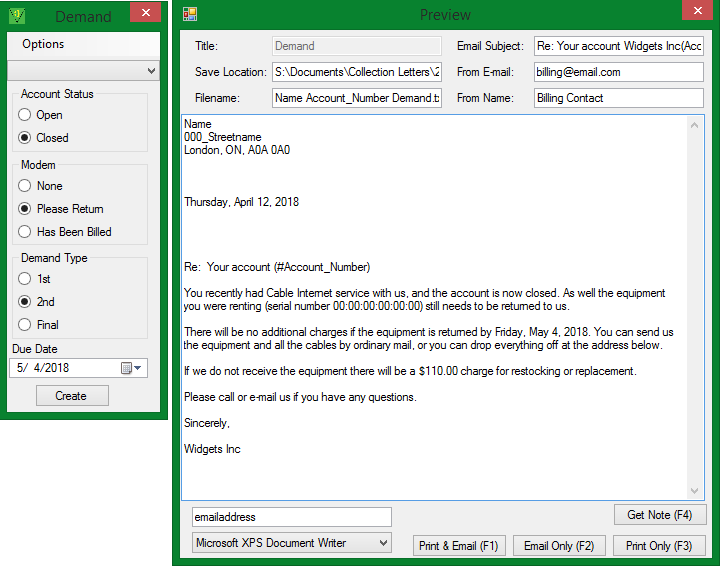 TurboDemands is a windows application developed to streamline the process of communicating with customers via Letter & E-mail, as well as documenting these interactions. This application provides the benefits of allowing the user to spend more time focusing on the specifics of the message in the communication rather than the technical and sometimes tedious process of creating, customizing and sending the communication via mail and e-mail. A considerable amount of time is saved with automation, templates are used which ensures communications are accurate, notes are automatically generated to be saved within the existing CRM software and each communication is automatically saved as a text file. Depending how the application is deployed, all users can be provided with the same unified set of templates or can have their own personal set. 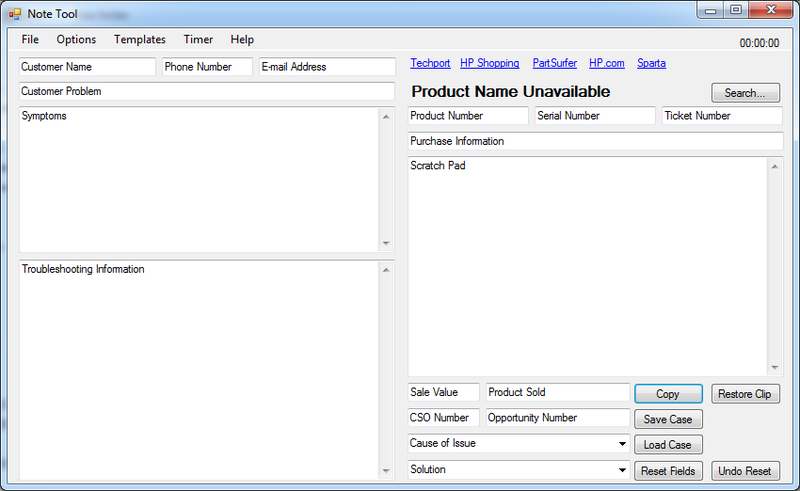 If template calls for information that is normally collected from CRM but is missing, a warning is displayed. This tiny app provides an automated way to calculate refunds and initial invoices for prorated services. This allows all employees with this task to perform in a accurate and unified manner. This application collects necessary information in order to diagnose network connection problems and sends the results to a pre-programmed email address as well as displays them in a formatted html page. The implementation of this script is unconventional as a PHP script dynamically creates a batch file depending on how the web form is filled and offers it as a download. When launched, the batch file creates a powershell script and executes it bypassing the default execution policy in Windows. Guiding a user to execute a .bat file can be easier than a .ps1 file. Interactive: user can define a url they are having issues with to run tests to. Presents user with pleasing diagnostic result page in web browser for their uown review. Output is well formatted and easy to read and there are bookmarks for each section. This project was developed to streamline the paperwork and logistics of tree removal crews working for a city. We were handed a stack of addresses each day with no knowing where in the GTA they would be. 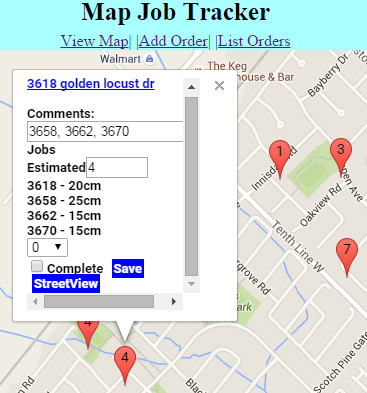 This application helped map out our day as well as keep track of special instructions, completed jobs and other job related specifications. This project is a website in which aims to connect the public with entertainment that relates to them. It is neither a business directory nor events calendar. It may have both those features but it's main purpose is allows a user to specify any of; what activity they want to do, what amount of energy they want to spend, maximum cost, whether the activity is family friendly, wheelchair accessible, or other attributes. Business / Place entry is done by searching 'Google Places' for business information to assure data integrity and less data entry for the end user. This project is on pause as most of its functionality is complete, however the front end-needs a complete overhaul. I realized part way through creating this application that AJAX was the best way to go and started using that for some of the administrator features. 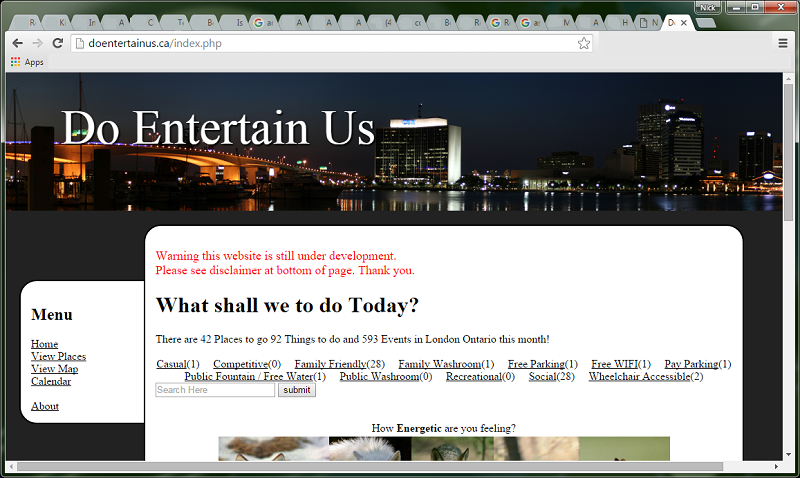 At this point I need to collaborate with a Web Designer who can assist with creating a more pleasing user interface. This Windows project is for the call center agents of television service provider in which changed it's tv channel packaging (it's programming). This small program allowed the call center representative to easily compare the customer's current (old) package with the service provider's new offerings. To quickly answer questions such as What is lost?, What extra do I get?, How do I get to keep X channel? This Windows project for the call center agents of a television service provider is to aid in frequent tasks that the agent performs such as note taking, quoting prices, quick access to customer's account information, and sending emails to other departments. User is able to copy block of text including client's account information and press 'capture' to have ARS Helper parse and make available that same account info to the user. User is able to type call related notes and notes are automatically formatted as service provider requires depending on call type by pressing a call type button which also copies those notes to the windows clipboard, ready to be pasted into the service provider's CRM software. One click to copy customer account information to clipboard to be ready to be pasted into a different application. 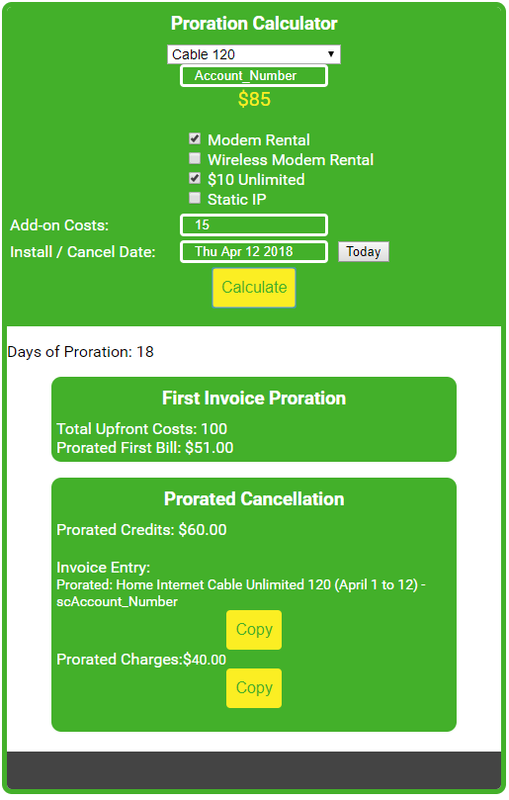 Cost Calculator allows user to select client's package, promotions, and rentals to calculate what client's expected costs should be. Appearance - colour scheme, program opacity, font, and background image are all definable by the user. Quick SUM of all charges and credits entered. 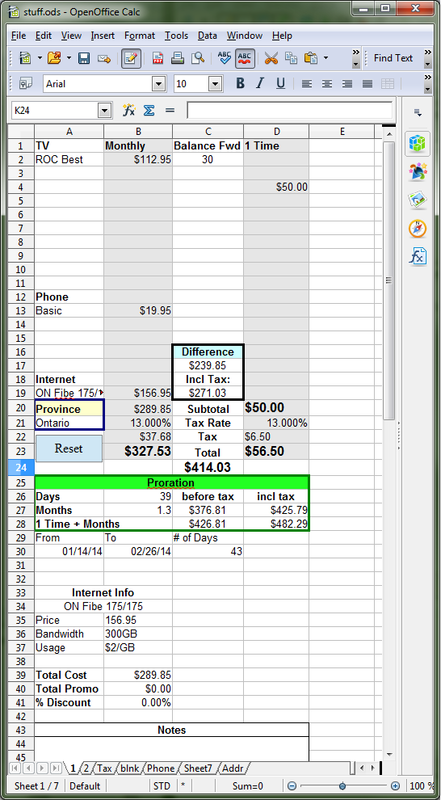 Popular plans and associated information are stored so they can be selected from a drop down and added to the calculation and users can quickly reference what is included in the plan. This project is a Windows application for call center agents of a computer hardware vendor. Assisting agents with note taking and frequent tasks they make. Has all fields necessary for formatted note taking as required by vendor. Contains searchable list of all supported products - can search by all/part of product number, product name, and/or product line. 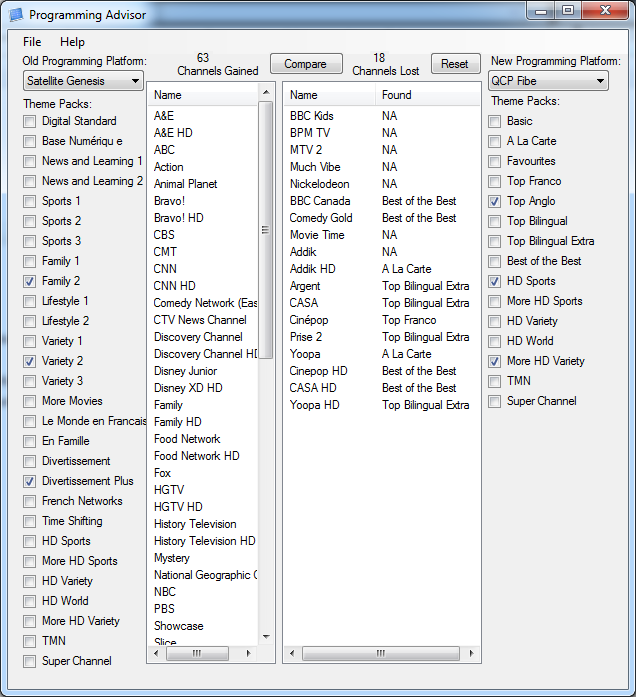 Program is resizable and all elements move and resize in real-time with the resize. Templates - Completely customizable templates allowing the users to insert any field from the program including user entered employee ID and manager information into user typed stationary. Useful for cross department communications and emails to the customer. Quick links to vendor's website for product information, support, downloads, and part replacement. Notes are automatically formatted as vendor requires, copied and ready to be pasted into the service provider's CRM software on a single click. Availability timer - Upon resetting/clearing the notes from the program a timer is started and displayed which lets the user how much time has passed since their last customer interaction. Senior Survey - Agents will often interact with 'seniors' or peers for assistance with their calls. Specialty Note Tool includes a quick survey form to provide feedback on assistance interactions, data from the surveys is stored in MySQL.